I received this question today for the Ananda column: “Ask an Expert.” I share it here as general healing information that can be used by others if this question ever comes up. Recently I read “Autobiography” and I really felt in love with the amazing guru Yogananda. In my heart I feel a strong desire to follow Him. My question is: I am Reiki practitioner for many years (I’m Reiki Master-Teacher). Reiki helped me very much with my health condition, but most with my spiritual growth. Is it ok to practice Kriya yoga and Reiki? I owe Reiki so much and I don’t feel ready to abandon it. That is wonderful! That is a precious gift to feel that connection with the Master! Swami Kriyananda often mentioned that Shankaracharya, the great Master who lived many centuries ago in India, said that the greatest blessing in all the three worlds — the causal, the astral, and the physical universes — is the guidance of a true guru. Follow the highest instincts of your spiritual heart, and He will guide you. At this stage, simply ask for the Guru’s grace to be able and willing to follow his guidance in all things. If you are ever inwardly given the guidance to give up Reiki — know that he would only ask that of you to give you something even better. For now, simply allow it to be a question for the future. 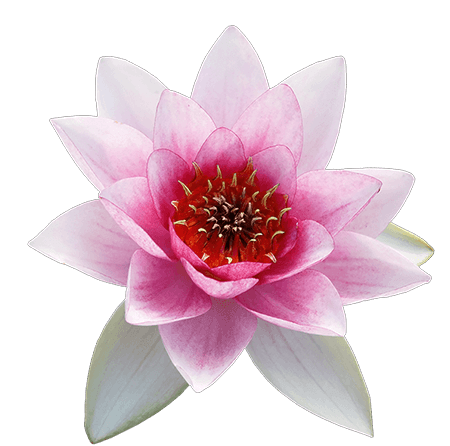 It is not a requirement to give up Reiki in order to take Kriya. But you may feel guided to do so at some point, to feel closer to the Guru in all things. And you needn’t feel that you were somehow being disloyal to the Reiki journey, and the blessings it has given you. Feel instead that your own inner journey and good karma has now led you to this extraordinary opportunity to have the greatest gift in all the three worlds: a true Guru…and in that know that even greater blessings await you. I wish you the utmost blessings and soul healing on your journey! 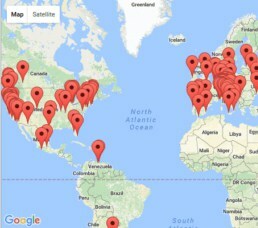 Thank you so much for sharing your response with us. It is a question that came up for me when I first started on this Path. My involvement with Reiki was not very strong, and so it was easy for me to give it up. But for those who have been invested in it for a long time and have had a deep commitment and many blessings through it, I know it is a difficult crossroad in their spiritual journey. Your response honors their heart’s feelings, their dilemma and their spiritual journey. Many blessings to John and gratitude to you, Mary. Dear ones, I am a student of Reiki, because my Reiki teacher encouraged me to call on (my) guides, teachers, and on “creator-God” before I begin a Reiki session. ~ ~ ~ P. Yogananda ‘s hands (upheld, in a photo taken when he proclaims that “thousands of youth will fan out in all directions to build colonies”) – well – I felt always that these palms ! radiate healing. They are healing hands. I’ve looked at them many times, long before I began Reiki training. Presently I am level II. I never felt a conflict – and always invoke the presence of our Masters onto the scene of healing, be it long distance or nearby. Any one of our masters may guide me more, depending upon my “focus”. My third eye is activated, I am a channel. 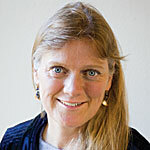 My Reiki teacher is also my house mate, and she is a very accomplished Reiki master healer-teacher. I found Reiki through her, and she learned from me about Yogananda, and my path. She uses his scientific healing affirmations. We both find much compatibility, and while remianing committed to Reiki, she becomes now familiar with deep truth of the science of Yoga and Yogic cosmology etc. Our ways to invoke Spirit into our practice still differs, But God does the work and Reiki flows through our hands – and bodies. Attunement to the highest is everything I believe; technique is technique. This applies to Kriya (prananyama) as well, and Swami Kriyananda has state this. I stand being corrected in the latter statement. I trust that the intentions of Dr. Usui, the founder of Reiki, are of the highest. Feelings of “conflict” dissolve when they are offered to…. Divine Mother, or one’s guru. Dr. Usui was/is not per se a guru. 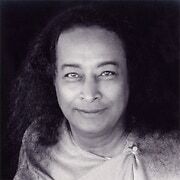 Yogananda is. The two men lead very different lives on their respective kharmic staircase. ~ ~ ~ And so every surgeon, every handiman-woman, every tradesman, every soldier, who offers up their actions into the hands of God, Christ, Guru, (P.Y.’s precept for his disciples) is freed of conflict. 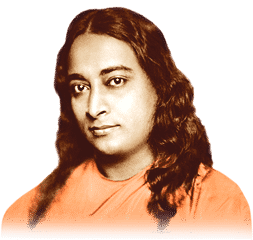 I feel, healers of all stripes and colors will find that P. Yogananda shows them the’ jet-way” toward God, making their vocation all the deeper. I enjoyed your very intuitively driven reply about the reike question. It spoke of truth but sensitivity for the question. I was very impressed. Not too many things or people impress me. My spiritual journey, thanks to God, Yogananda, Ananda, Kriyananda, and yourself, yes I spoken with you once:you helped answer a question for me, more importantly you made yourself available to me over the phone, even though you said your husband thought you were working too hard with others. After I gave up everything to go to California and join SRF a and was turned down by an elderly brother(his name will remain anonymous) I went back to Illinois to start over. I was in my fifties then. I dropped out of sight and had bad feelings for that organization. But in 2005 I reconnected to God because of Anand and Kriyananda. Now I have so much stuff, security and even a partner. I thank the lord all the day long. God bless you all. Thank you. I am sorry that you were discouraged when you were turned down from joining the monastery at SRF. I do believe they have strict policies regarding accepting new monks and nuns. Did they your age a factor in that? This occurs in other traditions, as well. I remember reading of a convent that limited the age of entry to age 40 or below. Along those lines, there is a way to apply that spirit of renunciation, through the Nayaswami Order. A couple, can choose the vow (pilgrim, tyaga, or nayaswami) that most inspires them and speaks to their current reality, without causing unnecessary strife inwardly, or between them. I am so glad to hear that you reconnected to God and the spiritual path, and that you “thank God all day long.” That is very beautiful. May you continue to blossom in His Infinite Light and Grace.